It should never have been that close. It wasn’t in the end, but there was a time in the middle of the campaign when it felt… I’ve said I want to find these polling companies and I want to sue them for my stomach ulcers because of what they put me through, you know. It was very nervous. Orkney, one of the most Unionist areas of the country, votes No by 10,004 (67%) to 4,883 (33%). Turnout is 84%. I spoke to the Prime Minister today and, although he reiterated his intention to proceed as he has outlined, he would not commit to a second reading vote by March 27 on a Scotland Bill. That was a clear promise laid out by Gordon Brown during the campaign. The Prime Minister says such a vote would be meaningless. I suspect he cannot guarantee the support of his party. It has been the privilege of my life to serve Scotland as First Minister. But as I said often during the referendum campaign this is not about me or the SNP. It is much more important than that. The position is this. We lost the referendum vote but can still carry the political initiative. More importantly Scotland can still emerge as the real winner. This referendum has not only been a driver of change for Scotland, but also for the entire political landscape of the UK. Radical devolution of powers is the way forward for the UK. The Scottish people should be proud of the turnout of this referendum. It was a great example of democracy. Now Parliament must deliver on devolving more powers to Scotland and the rest of the UK. We have no plans to move any part of our business out of Scotland. Business as usual, with strong roots in Scotland. 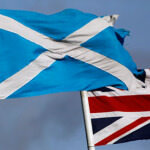 Following the result, it is business as usual for all our customers across UK and RBS. This outcome is good for the united, open and stronger Europe that the European Commission stands for. Our UK is stronger today than it was yesterday. The way that Westminster handled this was abysmal from the start. A series of promises were made on behalf of the English. The English are 86% by population of this union, they’ve been left out of all of this [The Barnett formula] for the past 18 years … what most English people want is a fair settlement. I’m absolutely delighted the Scottish people have taken this momentous decision to safeguard our family of nations for future generations. In a dangerous and uncertain world I have no doubt we are stronger, safer, and more prosperous together than we ever could be apart. But a vote against independence was clearly not a vote against change and we must now deliver on time and in full the radical package of newly devolved powers to Scotland. We welcome the result of yesterday’s referendum on Scottish independence and congratulate the people of Scotland for their full and energetic exercise of democracy. Through debate, discussion, and passionate yet peaceful deliberations, they reminded the world of Scotland’s enormous contributions to the UK and the world, and have spoken in favour of keeping Scotland within the United Kingdom. The Daily Mirror reports that the pro-union crowd that gathered in George Square, resulting in 10 arrests by police, included skinheads. It does not state where it obtained the information. Several photos show men with shaved heads or short hair apparently mocking Yes campaigners, who had been rallying in the square. …not only an example for the world, but also inspire us to continue building and strengthening our democracy right here in Taiwan. We have heard the voice of Scotland and now the millions of voices of England must be heard. He asks Labour whether it will agree to the introduction of English votes for English MPs – the ‘West Lothian question’ – and says that House of Commons leader William Hague will advance the issue in a special cabinet committee. He says the government would shortly say more about the devolution of further powers to the cities and regions of the UK. We need a response that matches the scale of this moment. That starts with delivering on our promise of further powers to Scotland. But other people in Britain, including England, now deserve the chance to shape their own futures with a dynamic devolution settlement. This must not be led just by a Westminster elite but be open to every citizen so that they can have their say. One particular financial devolved power to be aware of is a recent amendment to the Scotland Act 2012 by which the Treasury has given increased borrowing powers to the Scottish government to borrow up to £2.2 billion, for capital expenditure purposes. The provision is not yet in force but if it does come onto the statute book, one means by which this could be achieved is by the issue of bonds in the capital markets. This raises the intriguing prospect of so-called Scottish ‘Braveheart’ bonds being issued in the future, even though Scotland remains part of the UK, with an implicit UK guarantee. It expects rates to be announced soon for the Land and Buildings Transaction Tax, which replaces stamp duty land tax in Scotland, and the Scottish Landfill Tax before both come into force next April. The new Scottish rate of income tax will follow in April 2016, allowing the Scottish government to vary the rate of income tax on employment income and self-employed profits by up to 10% for Scottish taxpayers – although in practice any differential in rates is likely to be much lower. This will affect all employers with staff who are treated as Scottish taxpayers, as changes will be required to PAYE procedures. Employers with tax equalisation policies will also need to seek advice. It is likely that there will be further devolution of taxes to the Scottish government, with all the main political parties promising new Scottish tax powers. It is to be hoped that all parties will continue to work towards a more effective and simpler tax system. Police Scotland takes the safety and security of the independence referendum extremely seriously and is working with partner agencies including local authorities to ensure the integrity of the ballot. Fife votes against independence 55% to 45%. The turnout is 84% of the area’s 302,165 electorate. Bad news on Dundee turnout. Salmond’s home constituency, Aberdeenshire, votes No by a margin of 108,606 (60%) to 71,337 (40%). The result puts the No side 85,112 votes short of mathematical victory. Argyll and Bute votes No by 37,143 (59%) to 26,324 (41%). After 26 of the 32 local authorities have declared their totals, No leads by 54%-46%. Edinburgh – which polls strongly in favor of the union – has not yet declared. East Ayrshire votes No by 44,442 to 39,762. South Ayrshire votes No by 47,247 to 34,402. North Ayrshire votes No by 49,016 to 47,072. The Scottish Borders vote No by 55,553 to 27,906. Turnout is 87.4%. 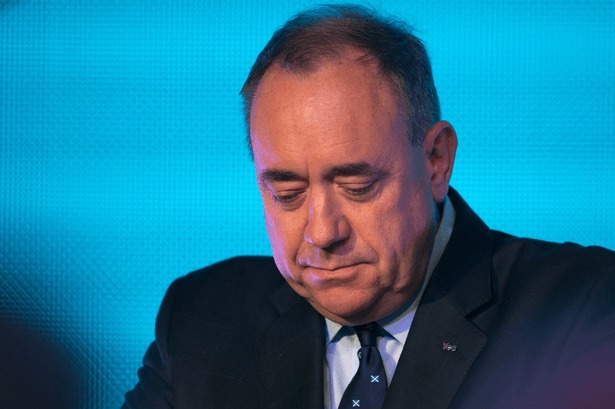 Salmond steps down as Scotland votes to remain a part of the UK. He announces he will not be seeking reelection as leader of the SNP party at the party conference in November. I am immensely proud of the campaign that Yes Scotland fought and particularly of the 1.6m voters who rallied to that cause. We lost the referendum vote but Scotland can still carry the political initiative. For me as leader my time is nearly over but for Scotland the campaign continues and the dream shall never die. By voting to stay together, Scotland can gain more devolution, combined with the security, strength and prosperity of being a valued part of the UK. We have more than 100 companies that work independently, with a lot of power to make their own decisions, but remain under the Virgin umbrella. This gives them lots of freedom, while also providing the security and strength of the Virgin brand. In the coming decades I believe more power should be devolved regionally, and to big cities like Manchester, London, Liverpool, Cardiff and Birmingham. Smaller teams focusing upon local issues can achieve more, provided they have the support being a part of the UK provides. West Lothian votes No by 55 per cent to 45 per cent. Glasgow, the largest of the 32 areas, votes Yes by 194,739 (53%) to 169,347 (47%). The nationalist campaign had been hoping for a margin 60% or more, and a higher turnout of voters than the 75% who made it to the polls. Perth and Kinross voted No by 62,714 (60%) to 41,475 (40%). The Yes campaign held its final pre-vote rally in the city. With more than half of all declarations in – 17 council areas have had their vote totals announced – the national totals stand at No 56% and Yes 44%. The vote tally as it stands is a bigger margin for No than most polls have predicted. South Lanarkshire votes No by 121,800 to 100,990. North Lanarkshire votes Yes by 115,783 (51%) to 110,922 (49%). East Dunbartonshire votes No by 48,214 to 30,624. Turnout is 91%. East Renfrewshire votes No by 41,690 (63%) to 24,287 (37%). Dumfries and Galloway votes No by 70,039 to 36,614. Turnout is 87.5%. Aberdeen votes No by a significant margin: 84,095 (59%) to 59,390 (41%). Angus votes No by 45,192 (56%) to 35,044 (44%). Turnout is 85.7%. The area is represented by a Scottish National Party Member of Parliament. Falkirk votes No by 58,030 (53%) to 50,489 (47%). Turnout is 88.7%. After the first 11 council areas declare, the overall total stands at No 53% and Yes 47%. Stirling votes No by 37,153 (60%) to 25,010 (40%). Turnout is 90%. Midlothian votes No by 33,972 (56%) to 26,370 (44%). East Lothian votes No by 44,283 (62%) to 27,467 (38%). Turnout is 88%.